This recipe and giveaway are brought to you by Workman Publishing and Sheet Pan Suppers Meatless. All thoughts and opinions are my own. I’m always on the look out for more meatless (or less-meat!) meals for my family, in an effort to be more healthy AND more frugal when it comes to the family dinner. Believe me, feeding a family of 6, in a house full of teens and tweens, is exhausting. I was thrilled to receive a copy of the brand new Sheet Pan Suppers Meatless by Raquel Pelzel and couldn’t wait to try a recipe or two this past week with my family. I bookmarked several recipes (they all look SO tasty!) 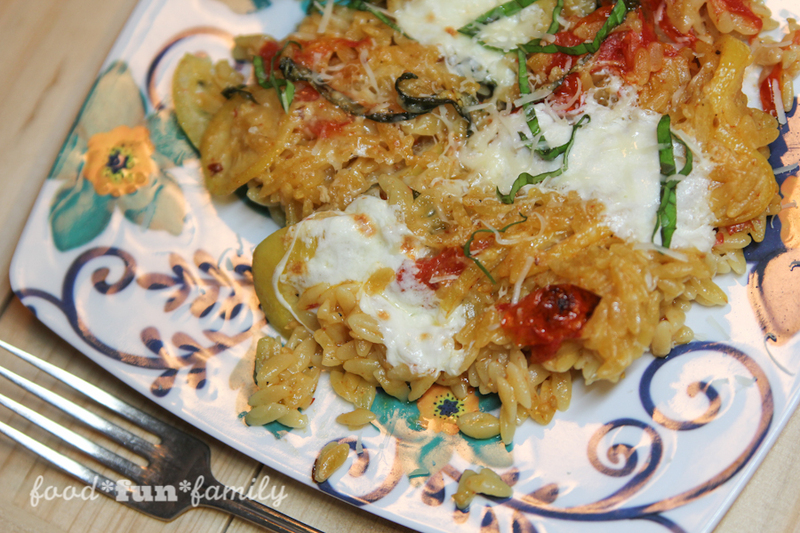 and settled on trying this recipe for orzo with pan-roasted tomatoes, lemon and mozzarella first. I’m excited to be able to share the recipe with you (be sure to scroll down below the recipe to enter the giveaway, too!). Adjust an oven rack to the middle position, place a sheet pan on the rack, and preheat the oven to 400° F.
Place the tomatoes, lemon, garlic, 1 tsp salt, pepper, crushed red pepper flakes, and the olive oil in a medium-size bowl and toss to combine. Carefully turn the tomato mixture onto the heated sheet pan, spread it in an even layer, and and for 10 minutes. 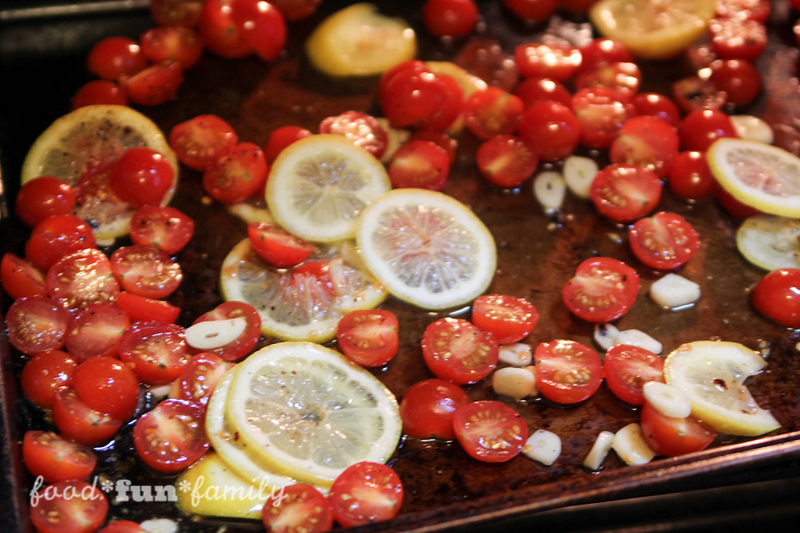 Remove the sheet pan from the oven and stir the vermouth into the tomato mixture. With a silicone spatula, press down on the tomatoes and lemon slices to extract their juices. Stir in the orzo. Pull the oven rack out partway and set the sheet pan on it. Carefully pour the boiling water into the orzo, stirring to combine and distribute evenly. Wearing oven mitts, cover the sheet pan with aluminum foil, crimping it tightly around the edges to seal. Bake the pasta for 15 minutes. Uncover the pan, add the remaining 1 tsp salt, stir the orzo, and cook, uncovered, to allow the juices to thicken and any partially cooked pasta from the top layer to absorb more liquid, 5 minutes more. Preheat the broiler to high. 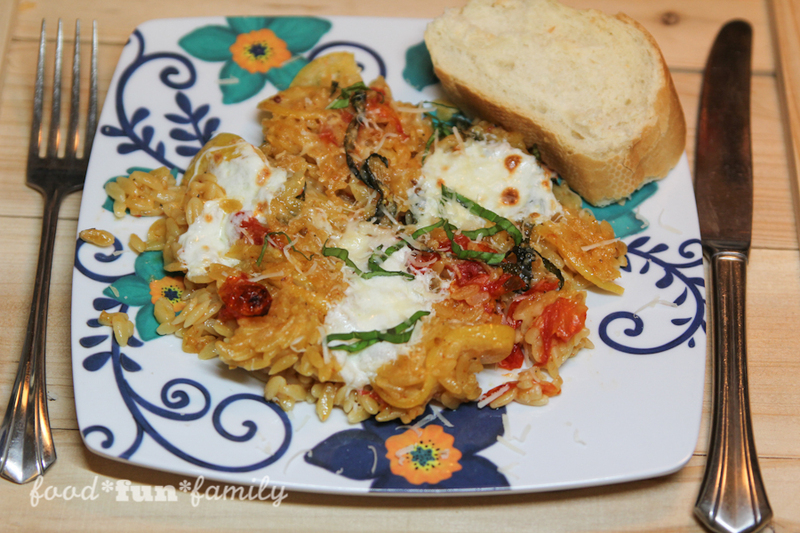 Stir most of the basil into the pasta, then scatter the mozzarella cheese over the top. 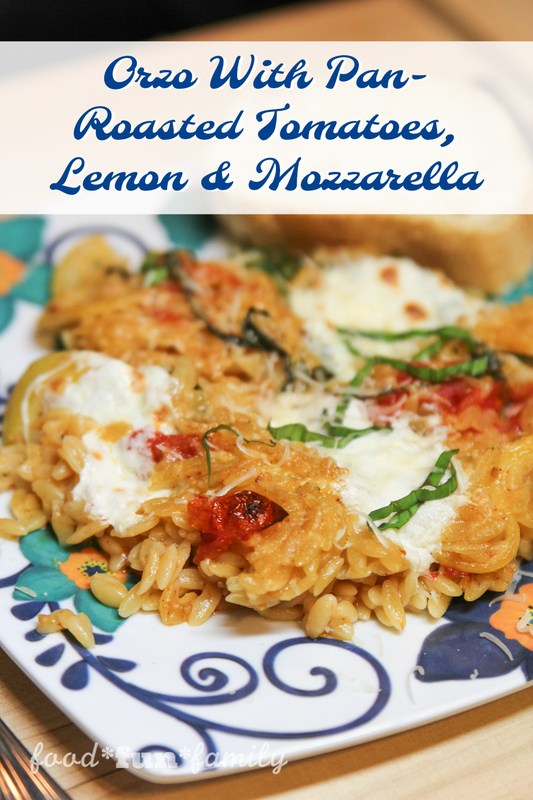 Sprinkle the Parmesan cheese over the mozzarella and broil until the cheese is melted and golden, 3 to 5 minutes (watch the cheese closely, as broiler intensities vary!). Remove from the oven and let stand for a few minutes. Sprinkle the remaining basil over the top just before serving. Sheet Pan Suppers Meatless is the follow-up book to Sheet Pan Suppers (Amazon affiliate link), and is completely vegetarian. Win a Sheet Pan Suppers Meatless Prize Pack! • plus a Sur La Table sheet pan and a KateSpade cookbook oven mitt. This sounds amazing and so healthy I am wanting to go back to a vegetarian diet. I just love mac and cheese for my family. I love making veggie stir fry over rice! Oh my goodness, I will definitely have to pin that recipe. 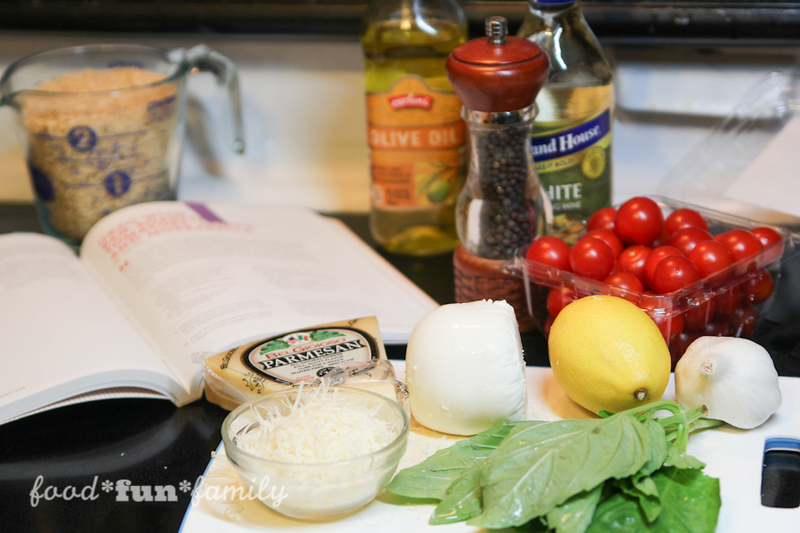 The mozzarella looks heavenly! Lately, my family has loved these Black Bean and Vegetable Enchiladas! They are a huge hit! I commented on Seven-Layer Salad. I like to make Vegetable fried rice. I love to make a stir fried Chinese eggplant with cashews. I like to make stir fry with tofu and veggies for the family. Eggplant parm I made some last week! I make meatless meals all the time. We love my Black Bean burgers with my homemade sweet potato fries. So delicious. We love bean burritos and breaded tofu nuggets. We love spaghetti rice stuffed peppers!!! My favorite meatless recipe is Tuscan Vegetable Soup. We love baked zit with mushrooms and cheese. We like to have stuffed shells. We always enjoy Eggplant Lasagna with Vegan Cheese. I like to make baked ziti for my family. I like to make tofu and vegetables. 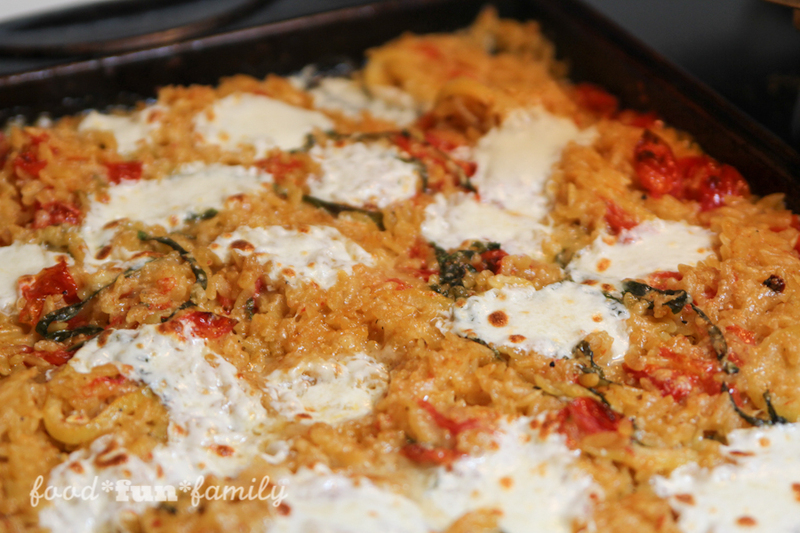 I like serving my family roasted squash and zucchini over rice.